Since its early stages in 2008, Babyloan surrounded itself with several financial partners in order to make its approach more professional, to spread its concept and to take part in the structuration of the profession, between philanthropic finance, crowdfunding and microfinance. ACTED (Agency for Technical Cooperation and Development) is a NGO created in 1993. Independent, private and non-profit making, ACTED acts in accordance with strict political and religious impartiality, and works according to non-discrimination and transparence principles. ACTED is firstly destined to support vulnerable people, in particular in emergency and conflict situations. ACTED launched microfinance activities in order to promote economic and social development of people in post-conflict situations. Acted brings its skills to the project in the field of microfinance. Created in 1816, the Caisse des Dépôts exercises general interest activities for the State and local authorities by supporting public policies. Its mission also consists in supporting national and local public policies, so the Caisse des Dépôts helps small companies financially. In France, the year 2013 was marked by the bill proposed by Fleur Pellerin about crowdfunding. Of course, the Caisse des Dépôts took immediate action as the public's interest for criwdfunsing was growing. The involvement of the Caisse des Dépôts is intended to arouse private investors’ interest and to find promising companies in booming sectors. The Grameen Crédit Agricole Foundation has been created in 2008, on a joint initiative of Credit Agricole SA and Pr. Yunus’ (Nobel Peace Prince 2006). Thanks to an endowment of 50 million of Euros from Credit Agricole SA, the Foundation stimulated social business projects on developing countries and accompanies the development of Microfinance Institutions, in priority farming and rural ones, which have a strong social impact and whose clientele is mainly composed of women. By investing to its capital, the Foundation proved Babyloan its trust and its support. Beyond its financial investment on Babyloan, the Grameen Crédit Agricole Foundation is empowered to contribute to the spreading of Babyloan within Crédit Agricole group. By its intermediary, three regional funds of Crédit Agricole have also decided to accompany us. The proximity bank Crédit Agricole Franche-Comté is located in French region Franche-Comté and has 480,000 clients. For many years, it has been leader on its territory and has always been highlighting its philanthropic actions. Being the first actor for economic development in its region, CAFC is acareful to eah client in accordance to his needs, may he be a private individual, professional, company or local authority. 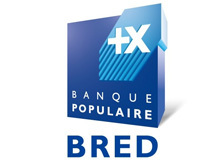 The Crédit Agricole Mutuel Pyrénées Gascogne is present on three departments (Gers, Hautes-Pyrénées and Pyrénées Atlantiques) and gathers 543,850 clients. The group offers varied services, in particular in regarding housing, green energy and e-business (with Square Habitat, Square Energie and Square Achat). The Crédit Coopératif, through its status of banking cooperative, acts in the logic of economic philanthropy. Thus, it is naturally close to ethical and philanthropic finance values. It accompanies projects which social usefulness is as important as financial profitability. The Crédit Coopératif wants to promote the interests not only of these clients and members, but also the interests of social economy in its integrality. It commits itself with professional and personal microcredit and identifies itself with sustainable development preoccupations in their three dimensions: economic, social and environmental. The Crédit Coopératif accompanies us since the first months of Babyloan. Apart from the fact that this social bank is in charge of functioning account of Babyloan, it contributes to spread Babyloan. The Crédit Municipal de Paris is a public city establishment designed for credit and social support. It is the eldest Parisian financial institution: for more than 370 years, its vocation is to struggle against usury and to enable Parisian people to face up to a treasury need or a temporary or structural financial difficulty. Born in 1989 as an initiative of self-managed saving that supported the development of fair trade and social economy in Italy, Etimos has quickly turned around towards international. Today, Etimos supports both microcredit programs and producer cooperatives, micro-companies initiatives and social promotion organizations. With more than 260 associates in more than 40 countries, Etimos reached an international dimension which is presented like collaboration opportunities, information flows and excellent analysis capacities of macro-economic contexts. Etimos, as Italian specialist of microfinance, brings us in particular its knowledge of Italian market in our actual launching approach of an Italy Babyloan. Neuflize OBC, born from the merger of two old houses, with specific and complementary know-how is today a reference private bank in France. Its intervention area covers the management of private and professional heritage and includes all the heritage’s professions. The commitment of the Bank for a sustainable future aims at increasing the value of entrepreneurship heritages of its clients, on the long term, while respecting social equity and environment, human capital, societal and environmental heritages. Neuflize OBC bank has been developing for several years skills regarding microfinance and sustainable development. So she wanted to accompany us in this beautiful story. In this way, the bank is striving to spread Babyloan towards a well off customer base which could sensibly contribute to the development of the collection of philanthropic loan. At the end of 2013, we wanted to get closer to our community by offering it to get involved differently, by taking a share to our capital. Our 146 lenders then invested in our social company through another crowdfunding platform: Anaxago. It enabled them to become real protagonists of our development. It was the first campaign of crowdfunding of a crowdfunding platform, which put this financing mode at the heart of the transformations of the sector. Babyloan is accompanied by prestigious shareholders which enable it to offer quality services to its customers.